Although Arsenal fans can sometimes be aggrieved and frustrated by Arsene Wenger’s policy in the transfer market, the way the French coach sticks by the players he believes in must be admired. The Gunners boss frequently speaks about his belief in the players he has hand-picked to play for the north London club, despite some surely testing his faith. 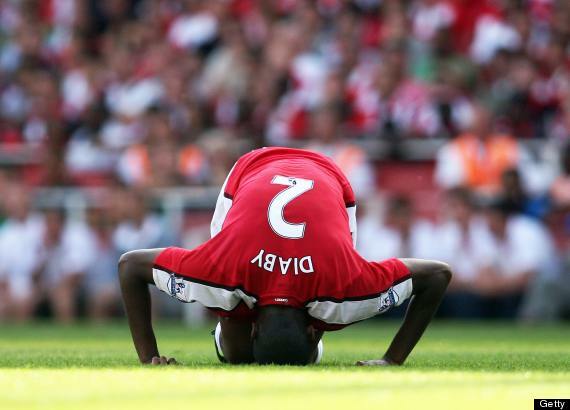 One such player must be Abou Diaby; once seen as the heir to Patrick Vieira’s throne, now a man that has struggled for a considerable portion of his career to be fit enough to play. The France international has been the victim of ankle ailments and has only managed 22 appearances for Arsenal in the space of the last four seasons. Despite Diaby’s much-publicised problems, Wenger has been quoted as saying that he will stand by the midfielder and offer him a new contract if he can get back to fitness. However, regardless of the fact that Diaby is said to be close to returning to action again for the umpteenth time, Arsenal may well be better cutting their losses on a player that they can no longer depend on. When Alex Song was allowed to leave the club to join Barcelona, there was a train of thinking that Diaby’s presence in the squad would fill the void of defensive midfield enforcer. The Frenchman has been unavailable and the Gunners have recalled Mathieu Flamini into the mix; seemingly the side have progressed without Diaby’s physical presence. The next six months will be massively important for Diaby’s career. However, even if he does have a prolonged spell away from the treatment table the midfielder surely has a lot of work to do to earn a new Arsenal deal before his contract expires this summer. Can Arsenal qualify from their Champions League group? Arsenal were undoubtedly handed the toughest Champions League group of the Premier League competitors, and at the halfway stage sit on top of Group F.
However, having played two games at the Emirates Stadium and the weakest side away from home, the second half of the fixture list looks slightly more daunting. Arsenal, Borussia Dortmund and Napoli all sit on six points with two wins from three games, while Marseille have been the whipping boys with three consecutive defeats. The game against Dortmund at the Emirates last time out had the potential to see Arsenal with one foot in the knockout stages if they won it. However, last season’s beaten finalists showing their clinical edge to win 2-1 in England, all is to play for. The Emirates Stadium faithful will hope they will be buying tickets for the Champions League in 2014, but whether there team are in the last 32 remains to be seen. Arsene Wenger’s men must travel to Germany in their next game and face the intimidating atmosphere that Signal Iduna Park possesses. The French coach will urge his side to remember their 2-0 away win over Bayern Munich from last season’s tournament, but the visitors will have a tough 90 minutes without a doubt. From there Marseille are the visitors to north London in Arsenal’s last home game; a must-win clash if the Gunners are to get through to the next stage. Finally, a trip to San Paolo to face Napoli completes the group fixtures. It remains to be seen just how the other teams will go against each other and what the state of play will be before Arsenal travel to Italy. However, there is every chance that it could be a winner-takes-all clash against the accomplished Serie A side. Napoli have proven to be tough opponents on the continent for a number of seasons, and beat Manchester City in Naples two seasons ago to see the Premier League side eliminated. With Arsenal summer target Gonzalo Higuain leading the line for Rafa Benitez’s men, it could well be a nervy end to the campaign for the Gunners. Realistically, Arsenal need to try to avoid defeat in all three games, drawing twice away from home and winning once at home. This should be enough to clinch a spot, but they may well rely on Marseille to get a point at some stage against either Dortmund or Napoli. Come the end of the group fixtures, Wenger will hope that he is not left cursing Robert Lewandowski’s counter-attacking winner at the Emirates two weeks ago. This summer is the first for many years that Arsenal are being talked about for signing other teams’ star players rather than losing their own, and two of the most commonly discussed names are Wayne Rooney and Marouane Fellaini. Even as recently as last summer the idea of Arsenal getting either of these, never mind both, would be laughed at, but this summer is different. Next season is when UEFA’s Financial Fair Play restrictions really kick in and this is what Arsenal have been preparing for over the last five years or so. Their payment schedule on the new stadium eases considerably and as they are so reliant on generating their own money they are in a strong position to take advantage of the FFP rules. So Rooney and Fellaini are affordable, they’ve got the cash sat ready and waiting. But how realistic is it for Arsenal to get them, and what would they bring to the team? Wayne Rooney has asked to leave Manchester United. Rooney doesn’t want to play for David Moyes, his wife wants to live in London and Rooney wants to be the star striker. Arsenal could certainly satisfy the last two. In fact, not only would he be the star striker, he’d be their star player full stop. The arrival of Robin van Persie from Arsenal last summer saw Rooney drift further and further back towards, and even into, midfield. But he is openly unhappy about this. He still sees himself as a pure striker, and his goal scoring numbers back this belief in himself up. In the 2009/10 and 2011/12 seasons Rooney was deployed often as a lone striker, but always as a striker. He scored 34 and 35 goals respectively, by far the best output of his career. The strange thing with Rooney is that his best qualities are often overlooked in favour of his additional qualities. He works hard for a striker and has a good passing range for a striker, and this means managers are tempted to use him further back. But he’s best at scoring goals. At Arsenal, that would be exactly what he is brought in to do. With Santi Cazorla, Jack Wilshere and Theo Walcott, possibly even Steven Jovetic, in place, they have no need for him to play deep. Olivier Giroud is a decent striker but no more. If Arsenal sign Rooney and play him up front they will have themselves the 30-goal striker they had when they sold van Persie. Even with all of the other talent, he would be the star of the show, and he would revel in that. Would Manchester United be willing to sell though? Surprisingly the fee discussed so far has only been around £30m because he has just two years left on his contract. Arsenal sound like they can easily afford that. If they can also pay him the circa £200k a week he get’s at United, which again chief executive Ivan Gazidis has said they can, then this could happen. He’d be an excellent signing and a real statement of intent. Where Rooney is a clear fit for Arsenal, the same isn’t necessarily true of Fellaini. For many years Arsenal’s supposed weakness was in defensive midfield, they had no shield and thus a flimsy defence. But last season they had the second best defence in the league. This was not least down to a transformed Aaron Ramsey who, over the last three months of the season, was as good a protector as any midfielder in the league. His tenacity in the tackle and particularly his interceptions marked him out. Arsenal fans bemoan his passing and lack of inventiveness, but in his new position he can keep it simple and focus on defending. What does Fellaini offer that is different? Like Ramsey, he is not a particularly good or subtle passer of the ball. He’s an athletic and tough presence when deep in midfield and although there is no doubting he is a little better at that than Ramsey, can you justify spending £24m on a minor upgrade? 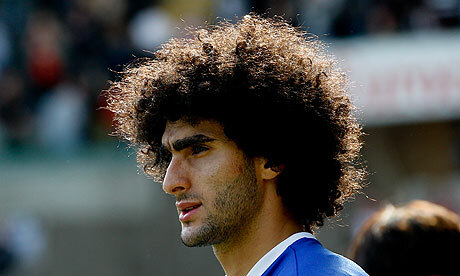 Fellaini caused devastation as an attacking midfielder at Everton when supplied aerially. Does Arsene Wenger really want to use Fellaini as a number ten? He’d certainly offer them a Plan B but again, is that enough to justify spending so much on? Unless Wenger is convinced that Fellaini is a significantly better defensive midfielder than Ramsey then he should not make the move. Fellaini after all, gets most of his praise for the carnage he can cause if supplied correctly in the other team’s half. 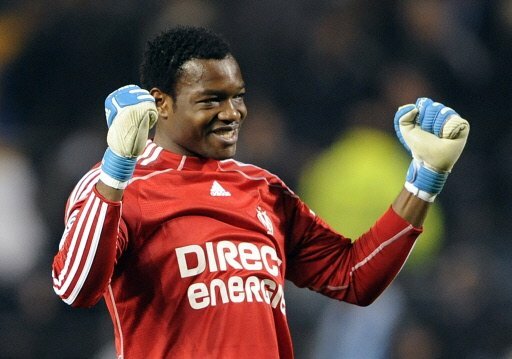 He’s a very good player, but not worth Arsenal spending £24m on when they still need a goalkeeper. Andrei Arshavin arrived at Arsenal in the January 2009 transfer window as a superstar. 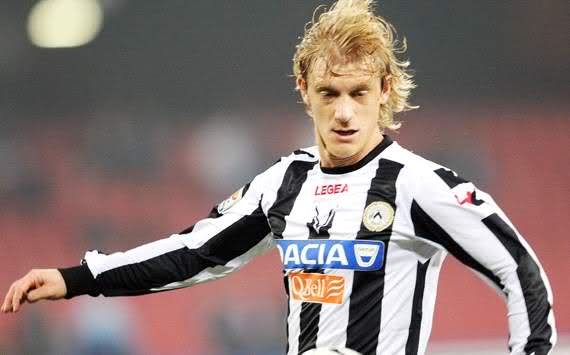 He was to be the final piece of the attacking jigsaw that could win Arsenal the league. He had earned this reputation due to his performances in Zenit St. Petersburg’s victory in the 2008 UEFA Cup and then in Russia’s run to the semi-final of Euro 2008. In both sides he was the mesmeric string puller, shuffling around the pitch at high speed with the ball glued to his foot. Arsenal spent £15m to get him, and it looked an immediate bargain. In those last few months of the 2008/09 season he managed to score six and assist eight in just 12 games. Arsenal had seemingly signed a bona fide world-class player. And yet, Arsenal have just announced that they will not be renewing his contract and he is free to leave. The same contract he signed in 2009. So what has happened to turn a blistering start in to tomorrow’s scrapheap? Arshavin’s name was made at Arsenal with his start to life at the club. He made his debut after the club had suffered successive 0-0 draws, and they had two more in his first two games. And then he exploded in to life. 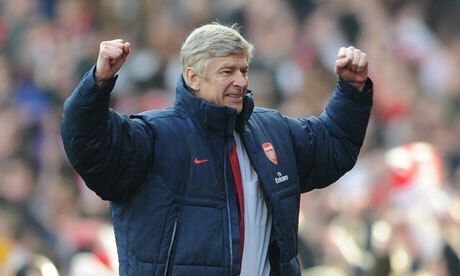 Arsenal then won seven of their next eight games, scoring 25 goals in the process. Arshavin was involved in 14 of those 25 goals. He was the saviour. The man who had resuscitated a dying Arsenal attack. He was already a hero and a Premier League star. He got sick and wasn’t effective in the final three games, Arsenal only won one of them. He had rapidly established himself as a key man. 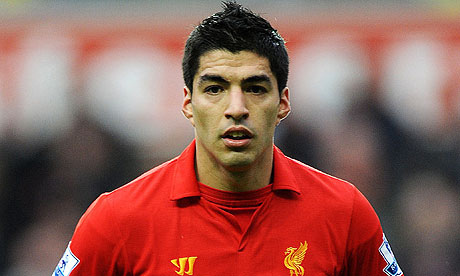 Most notable in this early barrage was the four goals he scored away at Anfield in a hectic 4-4 draw. He made his name so quickly and with so little settling in period that some of his failings were overlooked. He was always a hit and miss player. In the early part of his Arsenal career he would waltz past three defenders and score, laterly he would blaze it over the bar. Right? The thing is, he did it early on too, but the sheer weight of goals, and the messiah effect meant it was missed. The blazed chances or dribbles off the pitch were a part of the settling in, part of sharpening up after not playing in the Russian winter. Except they weren’t. That was his game. This started to become an issue in his second season. In his first few months he played 90 minutes every game, his patchiness forgiven. In the second year, he was substituted in 16 of his 38 matches in all competitions. He scored 12 and set up nine but the cracks were showing. He wasn’t producing the kind of explosiveness that had marked him out as a star in his first few months. His goals and assists came in ones. In drips. He was doing OK, but he wasn’t playing like a star. But he still had the good grace of the fans, he was still exciting, although increasingly frustrating. It was the 2010/11 season that pretty much sunk Arshavin’s Arsenal hero status. Arsenal made a sluggish start to the season, not least because Wenger was cautiously resting World Cup finalists Cesc Fabregas and Robin van Persie. In the absence of the star duo there was more emphasis on Arshavin to step up and be the star, but he couldn’t do it. His frustrating misses, bad passes in good areas and more so than anything, questionable work ethic were no longer being overlooked as lovable eccentricities. Arsenal were out of the title race by October after four losses and Arshavin hadn’t stepped up. The pattern of substituting took on almost comical proportions. A seemingly always unfit looking Arshavin was substituted on or off in almost every game. In 36 starts in all competitions he was substituted off 27 times. On top of this, he also came off the bench 16 times. In other words, Arsene Wenger wanted him to succeed, could see his talents, but he wasn’t delivering. Arsenal fans grew weary of his perceived lack of effort and off field distractions. He couldn’t produce consistently. His penultimate season summed up his ridiculous association with the bench. In 19 league games he came off the bench 11 times and was brought off in seven of his eight starts. He wasn’t producing but Wenger kept giving him chances to. Eventually he was packed off back to Russia. Andrei Arshavin’s time at Arsenal was defined by his start. If he’d played those first few months as he did the rest of his Arsenal career he’d have been written off after two years. He lived on those early glories and got chance after chance to repeat them, but he couldn’t. He ended up spending more time coming on to or off the bench than he did producing on the field. A lost talent? Or a three month wonder who arrived at right time to become a hero all too quickly? Should Arsenal push harder to keep Bacary Sagna? Ever since arriving in England in 2007 Bacary Sagna has been regarded as one of the top right backs in the Premier League. His consistent play highlighted by inefficiency in central defence. However, over recent years he has suffered two broken legs and this has taken it’s toll on his fitness levels and performance standards. Once the epitome of robotic consistency, he has allowed errors, some of them ghastly, to creep in to his game. Even despite this though, Sagna was the right back in the second best defence in the league. A defensive unit that looks, for the first time in years, to be settled and able to operate to a high standard. Arsenal have a big decision to make on him. He is 30 years old, Arsene Wenger’s traditional cut off age for long term commitment, has suffered two big injuries, has one year left on his contract and is being openly courted by Monaco and PSG which would give him a shop window as he battles to get back in to the French national team. 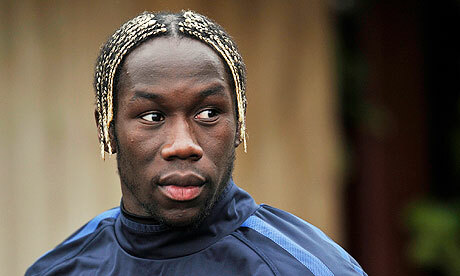 Sagna recently told French newspaper L’Equipe that a move; ‘is possible. We would have to see in which conditions and, in sporting terms, what they propose. I won’t go just anywhere’. 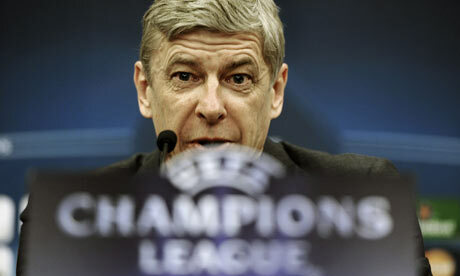 And on his contract impasse with Arsenal; ‘There are talks [with Arsenal], but I still haven’t extended my contract. I am talking, and I am not at a bad club either’. He is clearly torn on what his best option would be. In ‘sporting terms’ his best option would be to stay at Arsenal. He is the first choice, and playing in a settled unit. He knows the system and his team mates. 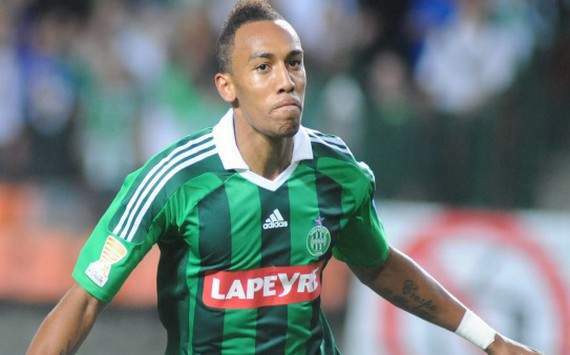 A move to PSG would be dubious in sporting terms. If Sagna is concerned about winning back his place in the French national team it’s a big risk. PSG have Christophe Jallet, and more importantly Gregory van der Wiel already at the club. If he can oust them then it’s perfect, but if he gets stuck on the bench his World Cup will vanish. A move to Monaco would be solely driven by money at this stage of Sagna’s career. He maybe has two or three years left at the top, and Monaco aren’t going to win the Champions League in the next three years. Again, playing in France would have an appeal to him for both sporting and personal reasons. This could be his last big contract, and he’ll get a bigger one at PSG or Monaco than he will at Arsenal. He’ll also get a longer one than he will at Arsenal. Sagna will be 31 at the end of his contract next summer and Arsenal would be unlikely to offer much more than a one or two year deal. PSG or Monaco could offer three or even four years if they wanted to. Arsenal have shown some flexibility on this rule compared to previous years, and in Sagna’s case they should do again. There are several reasons that Arsenal should push harder to keep him. They only have Carl Jenkinson at right back other than him, and although Jenkinson has promise, he’s not got the quality of Sagna. Just as pressingly, there is a lack of quality full backs in world football at the moment that are gettable for Arsenal. Their first choice, Lukasz Piszczek is having hip surgery and is out for 6 months. If they at least keep Sagna for this season they can re-evaluate based on his performances and then make a decision on Piszczek or give them time to scout out another right back. Arsenal have too many other areas of need to have to make themselves another hole by selling Sagna. He clearly wants some security on his contract having suffered two broken legs and if Arsenal aren’t prepared to offer that they should just lose him for free next year unless PSG or Monaco make a huge offer. If Arsenal get an offer they are satisifed with, and feel sure on a replacement, they can sell, but otherwise it just creates a weakness that doesn’t currently exist. Arsenal against Manchester United has a certain ring to it, and in past years it has been one of the most glamorous and exciting fixtures on the Premier League calendar. However, with the Red Devils winning the last three encounters between the sides, including an 8-2 thrashing at Old Trafford at the start of last season, the fixture has lost some of its sheen. When the Gunners host United this Sunday, the home side must buck the trend and get three points to keep their top-four ambitions alive. Gone are the days of the Roy Keane-Patrick Vieira battles, and United have somewhat forgot their rivalry with Arsenal given that the north London outfit have not been challenging for the title for a number of seasons. Instead of a title challenge, the last number of campaigns have been all about securing Champions League football for Arsene Wenger’s men. 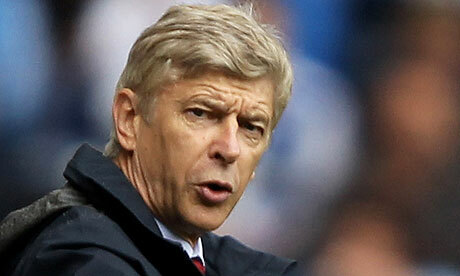 The Gunners are an outside, bet here even at home; Arsenal are 3/1 with Ladbrokes to get a much-needed three points. United wrapped up the Premier League title on Monday night with an easy 3-0 victory over Aston Villa, but in truth the league has been over as a contest for quite some time. 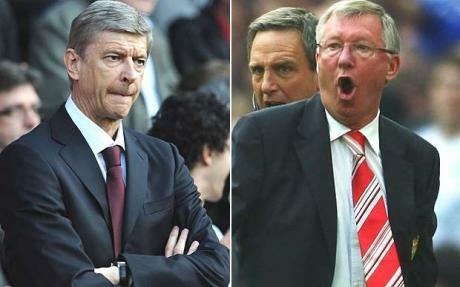 Arsenal will hope that United take their foot off the pedal slightly on Sunday, and Sir Alex Ferguson has admitted that his side may well be shuffled for the fixture. One interesting sub-plot is Robin van Persie’s return to the Emirates Stadium for the first time since his controversial transfer to United in the summer. Given that this is the first game since United clinched the title, the Gunners are set to give their opponents a guard of honour – which will not go down well with the home faithful. 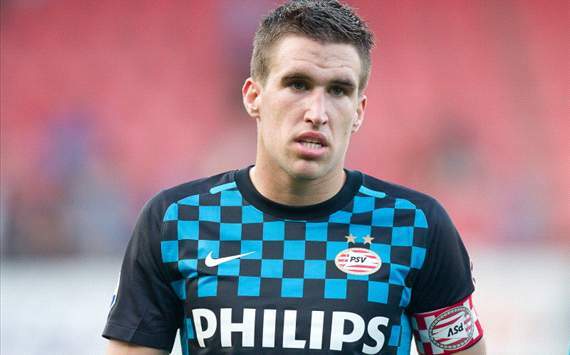 Regardless of personal vendettas against former players, Arsenal must monitor Van Persie closely, or the Dutch forward could put a considerable dent in his ex-employer’s top-four chances. A hat-trick to round off the title and 24 goals in all this season mean that Van Persie will most likely be awarded the Player of the Year award, and with good reason. With Chelsea and Tottenham only a point and two points respectively adrift of the Gunners in third, it is plausible that a United victory this weekend could see Arsenal drop to fifth place. Given the tight nature of the race for the top four, it is imperative that Arsenal stand up and be counted against a side that has had the better of them in recent times. Arsenal take on Swansea at the Liberty Stadium on Saturday afternoon in what will be a tricky and tightly-fought encounter for the Gunners. With elimination from the Champions League confirmed in midweek despite a valiant effort in Munich, Arsene Wenger will now have to focus his energies on making the top four and qualifying for Europe’s premier tournament again next term. The way things stand it is not looking great for the north London side. Local rivals Tottenham and Chelsea stand in the Emirates Stadium side’s way in their bid for re-entry to the Champions League, with a five-gap margin between fourth and fifth place. Spurs have opened up a seven-point gap over the Gunners after their north London derby triumph at White Hart Lane. With Chelsea and Tottenham playing at home to West Ham and Fulham respectively on Sunday, the gap will most likely be widened further should Wenger’s men drop points in Wales. Arsenal lost the corresponding fixture at the Liberty Stadium last season and were also beaten 2-0 at home earlier this term; Swansea have continued their excellent form since then. A first major trophy in the club’s history has been a fine reward for Michael Laudrup’s men after another excellent season, and before the game the Welsh outfit are only seven points adrift of Arsenal. The likes of Michu, Jonathan De Guzman and Pablo Hernandez will cause a threat to the visiting rearguard, while reported Gunners target Ashley Williams will marshal the hosts’ own defence. Despite Arsenal have a slightly easier run-in on paper than the two sides above them, one feels that this is a must win game for the Gunners. Should they lose to Swansea for the third consecutive time it is feasible that Chelsea could be eight points clear of them, Spurs ten, and at this late stage in the season it would be extremely difficult for Arsenal to claw that back.